Published on April 8, 2011 in Blogging, General and Internet Tips and Tools. 1 Comment Tags: Free Translation, Translate Free, Web Translation. 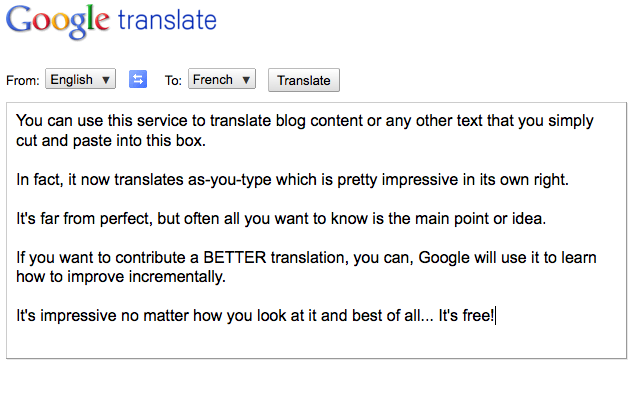 If you have the need to translate text or documents, Google has a great translation tool. 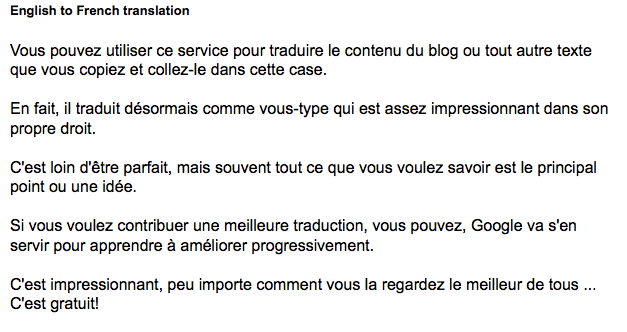 This is handy when you do a lot of blogging or have a lot of YouTube videos and someone posts a comment in a foreign language… It still has difficulty with vernacular, but it’s always improving!